In my responses to theatre I try to refrain from profanity. I don’t mean when I’m actually in the theatre. There, I believe, a little colour sometimes enlivens the proceedings. No, what I mean is that I try to avoid swearing in my written responses. But for Duck Hunting, I’ll make an exception. Let me invent a term: the ‘Dickhead play’. The plays in this genre feel like theatre in First Person. 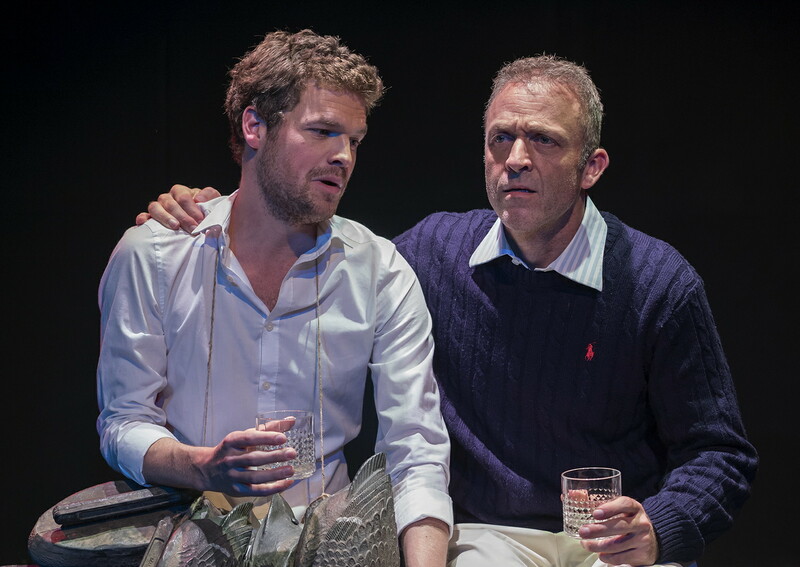 All the attention in a Dickhead play is on a sole character – a male protagonist who treats other people really badly yet the focus is on his suffering. Despite my derogatory terminology, a Dickhead play isn’t necessarily a bad play. It can be a form of cautionary tale. Vampilov’s play has been contemporized. We follow Craig Stephens as he does horrible though mundane things to other people. Unsurprisingly, he finds this a dissatisfying life. Part of the intrigue of this piece is the tone. It goes to a very strange place by the end. I wasn’t sure what to feel. Was it comic? Was it tragic? But I guess that’s one of the defining elements of the Dickhead play: follow a dickhead around all night and you’ve got to laugh, and you’ve got to cry.